Уютные и светлые апартаменты, недавно отремонтированные, для самого комфортного отдыха. Расположены на третьем этаже без лифта, в Готическом квартале Барселоны, совсем рядом с бульваром Лас-Рамблас. Комплекс апартаментов Ramblas отличается очень удобным расположением в центре Барселоны, что позволяет легко оценить все исторические, культурные и гастрономические богатства города. Более того, апартаменты расположены всего в 20 минутах от пляжей Барселонеты: отличный вариант для тех, кто желает позагорать летом у моря и прогуляться в Олимпийском порту. Апартаменты идеально подойдут для группы друзей или пары. Двухместная спальня, ванная с душевой кабиной, совмещенная с туалетом, зал-столовая с двухместным диваном-кроватью и американская кухня. От апартаментов Ramblas легко добраться пешком до квартала Борн с его великолепным собором Санта-Мария-дель-Мар или прогуляться по колоритному кварталу Раваль, где сливаются воедино множество контрастных культур и традиций. Рядом находится знаменитый проспект Грасиа с его архитектурными шедеврами Дом Батльо и “Ла-Педрера”, а также роскошными магазинами ведущих фирм со всего мира. Совсем рядом с апартаментами расположены остановки автобусов, станции поезда, метро и даже вокзал поездов среднего и дальнего следования. Отсюда легко совершить путешествие в любую точку Барселоны или ее близлежащие города: Ситжес, Таррагона или средневековое поселение в Вике. - ЗаконывБарселонеобязываютнасзаполнитьданнуюанкету. Выполучитесообщениепоэлектроннойпочте и должны будете предоставить эти данные в режиме онлайн. - Пожалуйста, сообщите о времени вашего прибытия. - Выдачаключей: Наквартирепопредварительномузвонкуза 30 минут. - Поступившая на счёт оплата возврату не подлежит. 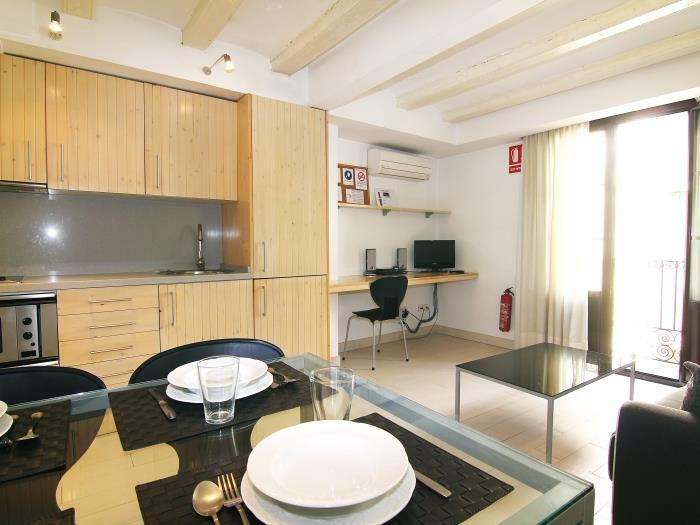 Very good location, close to La Rambla (few steps), but in the quiet area. Easy check in/out. Close to everything. Highly recommend. Very efficient company. Check in was easy even though flight was delayed. Ubicacion increible y bello departamento super acogedor. Una Hermosa estadia. The location was great for where the night life is but you do need to embrace the 3am finishes from nearby establishments! Good fun, great place, amazing city. We enjoyed staying in the apartment 3 at the second floor in July 2017. The place is nice, bright and relatively quiet, provided you keep windows shut. Air conditioner was working very well, so did Wi-Fi. Service is attentive and reliable. We would return to the place again. abbiamo trovato la casa molto pulita e confortevole e in posizione centrale, il ragazzo che ci ha lasciato le chiavi molto gentile e bravo, tutto perfetto se non fosse stato per la mancanza di acqua calda nella doccia. 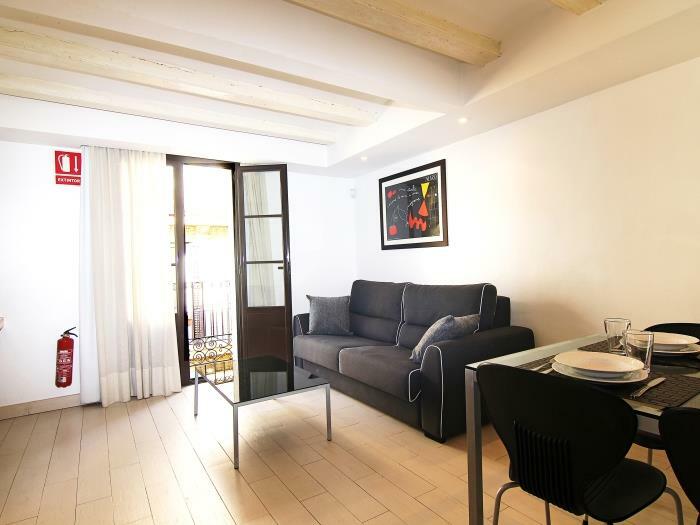 Appartement tres bien situe. Une nuit un peu bruyante mais sejour vraiment tres agreable dans l ensemble. 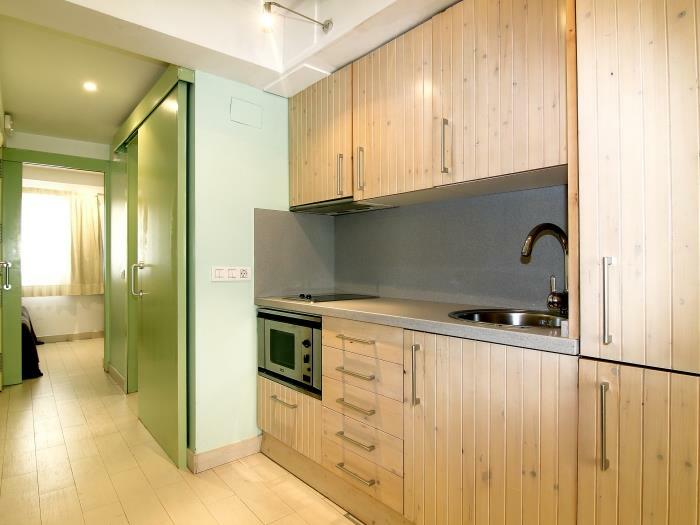 Appartement conforme au descriptif et très bien placé pour visiter Barcelone. Chambre donnant sur l'arrière dans une courette donc très calme. 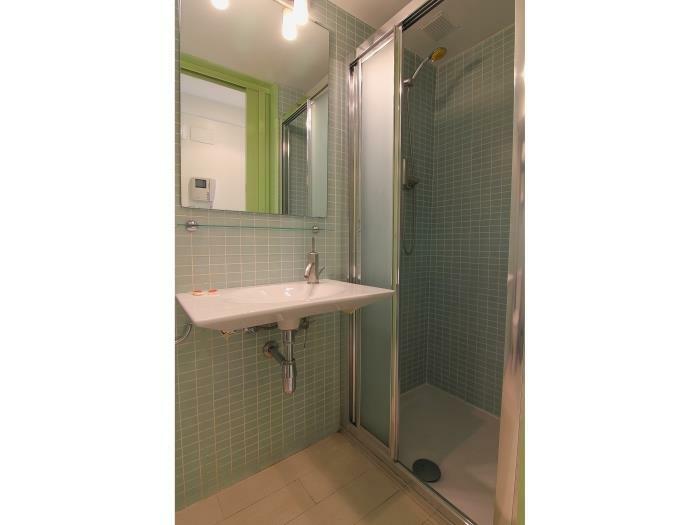 Seule information manquante, appartement situé au 2ème étage mais qui correspond en faite à un 3ème étage. It was a great place to stay with ideal location for us. You could find anything you need just stepping out from the front door. The contact person Ruben gave us a map and marked- up the top sights, and he was otherwise very helpful. The neighbourhood may be a little bit noisy, but it didn't bother us at all. Thanks a lot : ). Die Wohnung ist sehr schön und liegt hervorragend. Einziger Nachteil ist das hellhörige Treppenhaus. Wenn Mitbewohner sehr laut sind, ist das während der Nachtzeiten deutlich hörbar. Très bon séjour. Très bon service d'accueil à l'arrivée. Pratique pour le départ.Nous avons passé un agréable séjour à Barcelone. Merci pour la réduction de 10% pour la prochaine réservation. C'est très commercial. Falta dentro de la informacion, aclarar que es un segundo piso que corresponde como a cuatro pisos, sin ascensor, con unas escaleras muy incomodas.adicionalmente no hay aire acondicionado en la habitacion. Por esto toca colocar muy alto en la,zona del comedor lo que es incomodo por frio para quienes duermen en el comedor.(sala). Adicionalmente, tuvimos unos vecinos borrachos que todas la noche gritaban y timbraban en nuestra habitacion....queria igualmente solicitarles una factura formal por el,sobrecosto de EUR 50 por llegar a media noche. Gracias. ClassBedroom: Le pedimos disculpas por lo ocurrido. Recuerde que le entregamos un teléfono 24h al que podría haber llamado para informarnos de los incidenetes con los vecinos, le aseguro que lo hubieramos solucionado. En la descripción del apartamento se puede leer que es una segunda planta sin ascensor, lo que no se especifica que es una tercera planta real. Tomamos nota para añadirlo. The apartment was fine and clean and the location good. The neighbours were a problem, however, partying from 2-6 at night, first on the floor below and the last night on the floor above. That night was very nosy. We were very happy to live at this place! Thank you! location is awesome, just like 3 minutes walk from la rambla , on lift third floor but its ok.
Sehr kompaktes App. im 4 Stock des Hauses. Alles drin und dran - sogar WLAN. Sehr zentral gelegen, sodass wir weitestgehend Barcelona zu Fuß erkundet haben. I warmly recommend this hotel! So good! great location! Ottima posizione, a pochi minuti dal porto, dalla Rambla, e dalla metro. 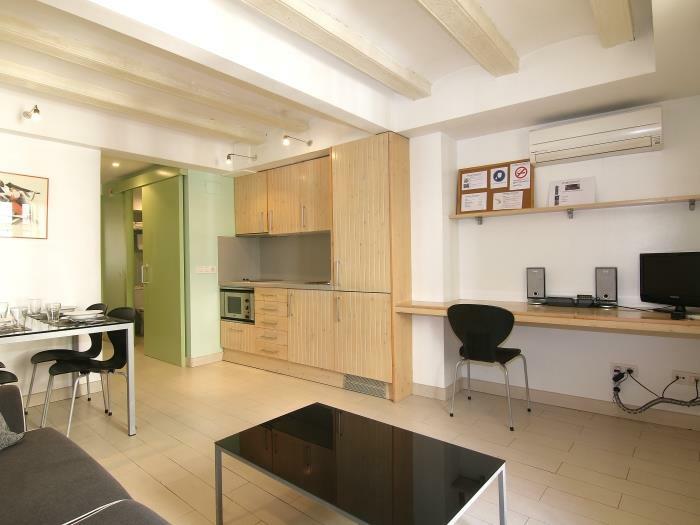 Excellent location right in the centre of it all with lovely bakery for the morning right opposite and 1 minute access onto the Ramblas. Very helpful staff - booked us a taxi for the way home. Great facilities - very clean and well equipped. Lovely balcony doors that opened up onto lively street below. Very good value for money - perfect for a family of 4 - can put kids to bed while you sip wine and look out on the street below. A mini city-play area just a few yards away. Only gripe that the sofa bed has bad "roll together". Escalier trop exigu et trop haut pour les personnes âgées, ne parlons pas des poussettes ! Bien équipé, super bien situé (impossible de faire mieux !) confortable, propre et lumineux. Un bon souvenir, un excellent moyen pour visiter Barcelone. 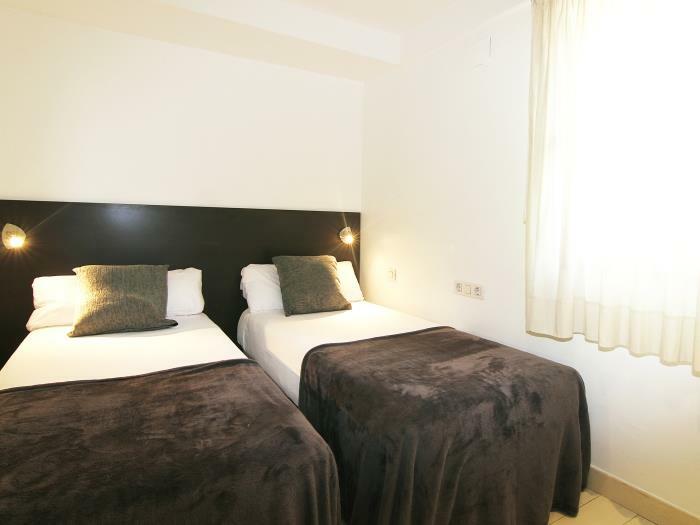 It was the best choice and next yime when I'm in BCN my will definetly choose Classbedroom. 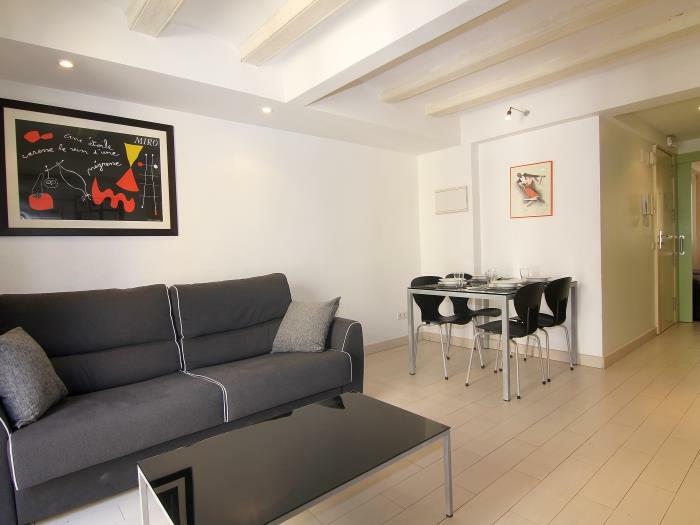 It is an awesome place to stay in BCN, great location and great apartment. The only thing that caused inconvenience to us on weekend was a night club in the next building - it was extremely noisy. But everything else was just perfect. HIGHLY RECOMMENDED!!! We had a very enjoyable 3 night stay. 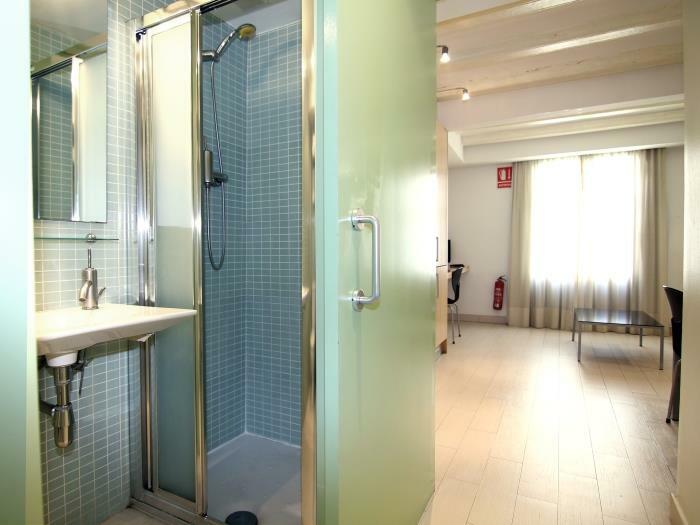 The apartment is very well located close to the Rambla and the subway. Although a bit small for 3 men to share it would be ideal for a small family. Just the stairs were insane! The staff were great and very helpful, only issue was with the card machine that did not want to swipe my card (Cash Passport) which worked everywhere else all over Europe. In general though, we really enjoyed our stay. The location is wonderfully central if you really want to experience Barcelona. The airconditining was wonderful and the double glazed doors and windows shut out most of the street noise. The shuttle service was also great and punctual. Fantastic apartment in a fantastic location. 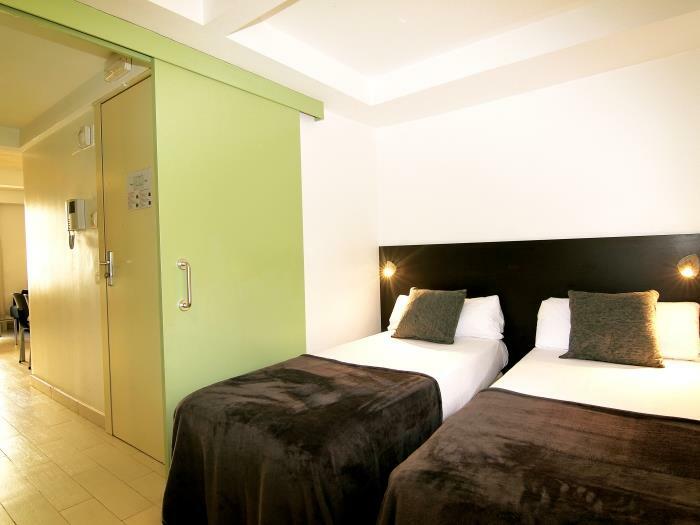 Very clean, nice staff, good beds. Only problem was the fridge which made a lot of noise, so we had to switch it off during to sleep. Appartement très bien situé, propre et agréable. We enjoyed our stay tremendously. The apartment was nice and clean and has a great location. The staff was competent and friendly. The only complaint was that the freezer was full of ice and that the refrigerator could not get cold enough. Hola, el punto negativo no se refiere al confort del apartamento que realmente estaba bien equipado sino a la dificultad de dormir en el salon respecto al ruido que venia de la calle. Fue impossible encontrar el sueno antes de las 6 de la madrugada. Creo que vale solo para dos personas que tienen la habitacion para dormir o para jovenes que se pasan la noche fuera. Es una pena no especificarlo por internet. The flat is in an excellent position and clean and well provisioned. Our only problem was with the uncomfortable beds which should be replaced. Also - a note for the owner - the fridge door is difficult to shut properly and has water collecting inside. Otherwise - brilliant and thank you for a great holiday! the safe failt the last day, so someone had to open the safe. Acogedor, muy bien situado, limpio, tiene todo lo que puedes necesitar aunque las escaleras estrechas. Calle un poco ruidosa por la noche y un poco conflictiva como casi todo el barrio Gótico pero hemos estado fenomenal. Lo recomendamos. just want to say that the 2th floor was like 4th floor. but everything was great!! Très bien situé, proche ramblas, peut être considéré comme un peu bruyant le week end mais idéal pour qui aime faire la fête et découvrir la "vraie Barcelone de nuit", bien isolé phoniquement. Petite ruelle charmante du vieux Barcelone. Bien équipé et propre. Ravi de cet appartement au bon rapport qualité prix. Straße ist etwas laut und runtergekommen, Appartment ist sehr sauber und gut ausgestattet. It is very good located, but a bit noisy in the night. But if you close the windows its OK. It was very clean and practical. OK for 2...... We would visit it again on a next trip! Gostei, a localização é excelente, apenas apontar um senão é o ruído à noite por causa dos bares. This was our first time to Barcelona and staying in this apartment made it that much more wonderful. The apartment was very clean and the locatiobn was fantastic. It is very close to Las Ramblas. There is a wonderful patissirie and pasta place close by. Without a doubt I would stay there again.